We had a fantastic time. We are very satisfied with the services provided by TCG and we will recommend you guys to all our friends. Sophie, you were ultra quick to respond to all my emails and you always fully addressed all questions and requests I had. It was a pleasure to deal with you. Thank you for organizing the subway tickets for us on a short notice. Also, well done for quickly resolving the issue with cancelled flight from Xian to Shanghai. We were so happy with the outcome as it gave us a chance to experience the bullet train from Nanjing to Shanghai. 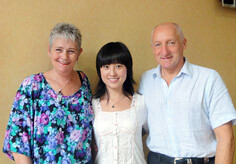 Marc (Nanjing), Lily (Xi-an) and Ryan (Shanghai) - all were very professional and knowledgeable. Great job. All drivers were OK and transported us safely around the cities. Hotels and food were fantastic, no complaints at all. 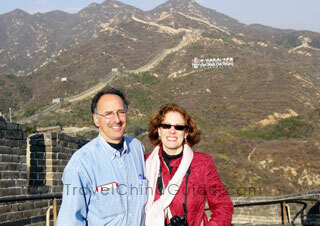 We will add our positive China tour small group reviews on Tripadvisor. Many thanks to your agency for your professional attitude. We appreciate that you always tried to do your best for the best of your customer - to make us feel comfortable. We had a full and memorable China tour (Beijing - Xian - Shanghai) that we will always remember. We enjoyed the meals at all. 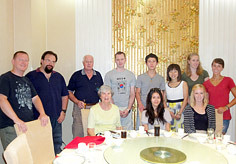 Also all restaurants chosen for us were nice and the services meet Chinese good standard. All guides were great and helpful. They possessed good knowledge of English and all have been talkative. We would like to point out that Linda in Beijing was really the best guide who possessed good knowledge of the site culture, history and who was very kind as all other our guides in China were. The services of all drivers were good and the driver in Beijing was excellent and very kind. All cars were clean. Among all the hotels, our most favorites belong to the hotel Crowne Plaza in Beijing and Pan Pacific Suzhou where the accommodation and services met higher standards of five stars hotels. Please pass our thanks to the guide Linda for her kindness. I wish you all the best and will look forward to see you in the next tour in China. I just wanted to send you a quick email to thank you for making our visit so comfortable.......everything was excellent. Most of our guides were brilliant in terms of their knowledge and grasp of the language. Even the drivers were always punctual and helpful. The hotels were first class and clean. 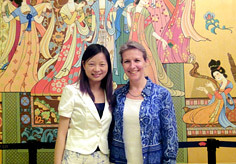 I would like to mention one guide in particular who was extremely friendly and helpful - KOKO in the city of Xian. We liked her very much; she is an asset to your organization. Lastly about the food.............it was mostly very good and a lot at times which we couldn't eat. Once again thank you for everything and we will definitely recommend your services to all our family and friends and if we were to visit China again we will use your services. I am already back home from China but Mr. Chang is still traveling in Europe so I will give you my personal comments about our trip first. I am certain that he will send you his comments later as well. In general the meals were good and we had enough beer and soda to drink. The best meal that we had was the Pecking Duck dinner. All the hotels were very nice and comfortable. All the guides had adequate knowledge of English to communicate with the group. 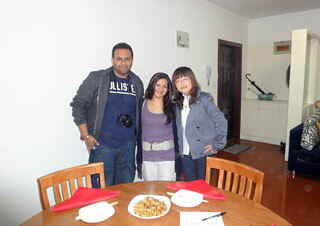 Our best guides were Selina (Huangshan) and Yu Nan (Xishuangbanna). They went out of their way to ensure that we had a great time and arranged many things outside of the planned agenda. If it were not for the positive attitude of Yu Nan, our stay in Xishuangbanna would not have been so interesting. Our drivers were very careful and driving safely. Especially the driver that took us from Lijiang to Dali, he was the best. Huangshan and Jiuzhaigou were by far the most beautiful landscapes that we saw in this trip. All in all we were satisfied with our trip and your arrangements. I would also like to mention that your services in preparing this trip were excellent. Sorry for my late answer. I had some unexpected problems to face after my return to Brazil. Regarding to our tour, I'm sure that the Group had a good time in China and enjoyed all the excursions. We liked the guides, the drivers and all the hotels service. China is a big country and we had a very good impression of everything, from its minority nationalities to its unique landscapes. China has thousands of places and wonders to be discovered by any tourist. On our next tour to China we certainly will contact the TravelChinaGuide. Thank you for everything. We enjoyed our time very much! All meals were excellent! The buffet breakfast at the hotel was first rate, the restaurants all had wonderful food and the portions were more than enough. Our meal on the last night at the fancy restaurant was the best! Our guide Sara was GREAT! Her English was perfect! She was easy going and always willing to answer any and all of our questions. She provided a great deal of history and detail on the customs, the culture, and the society of China both from an historical as well as a modern perspective. Sara met us at the airport, came into the hotel and stood with us while we registered. When we were dropped off at the airport for our return flight home, Sara came into the terminal with us, made sure we found our airline check in and stood on line with us until our bags were checked in and our seat assignments provided. She stayed with us until we had to pass through security. We were so pleased with her skills and her attitude, and her warmth! We were very pleased with the service of the driver Mr. Liu and the condition of his car. He always managed to find a parking space up close to whatever entrance we were at; he met us promptly when we were scheduled to meet up. He and Sara always held the car doors open for us; we were treated very well! We stayed at the Crown Plaza Hotel. It was great! Room was very comfortable and spacious. The hotel staff all spoke English. No issues. Again... breakfast was wonderful! I would be happy to receive emails from anyone curious about your services. At times it seemed like the package you offer is too good to be true! In this case you far exceeded all my expectations. I will certainly recommend you TravelChinaGuide to anyone who asks and would use your company again the next time I travel to China.